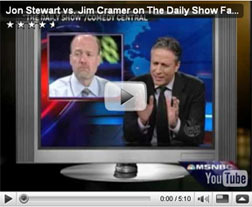 Anyone in corrections been following the debate between Jon Stewart [of the Daily Show] and Cramer of CNBC? Would love to know what we're all thinking in Corrections about this. I've included a must see video clip of this most-tuned in debate. Share your thoughts. The selected candidate will be responsible for developing and maintaining relationships within the state of Texas, managing customer issues, coordinating the admission process, gathering data on competitors, and providing program information to to all decision makers as well as those who have influence on placement decisions.